A healthy, bright, and straight smile oftentimes indicates a confident individual. 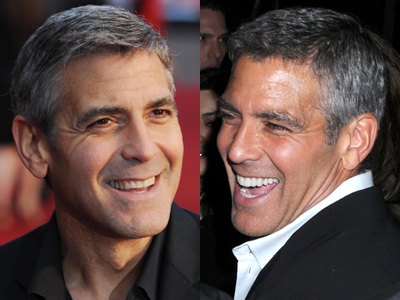 Whether a celebrity on screen or just an average Joe, cosmetic dentistry services can help promote self-confidence and improve overall oral hygiene. Studio Dental Care in Studio City, California, offers a variety of cosmetic dentistry services to help clients achieve the ultimate results—a great smile and a healthy mouth. Studio Dental Care by Dr. Alexander Ash offers cosmetic dentistry services in Studio City, CA that have celebrity style results. Invisalign cosmetic dentistry services allow patients to straighten teeth discretely with clear, BPA-free aligners. With the ability to removeInvisalign retainers during special occasions, meals, and brushing and flossing, patients can achieve the desired results without dietary limitations that traditional metal braces restrict. Invisalign providers may provide different treatment options that offer a variety of results depending on durations. For example, Invisalign Express 5 and Invisalign 10, are quicker more affordable treatments that correct minor misalignment issues with 10 trays or less. For more information regarding Invisalign options, please click HERE. Dental Veneers, otherwise known as porcelain veneers or porcelain laminates, offer a whiter and straighter smile by capping existing teeth. A dentist simply files down a small layer of existing tooth enamel, less than a millimeter, to make enough room to fit the custom veneers over the teeth. Patients may choose to do a single tooth or a full mouth of teeth; as well as choosing the level of whiteness desired. Veneers have a median life average of 30 years, while composites have a median life average of 7 to 10 years, meaning that veneers are long lasting cosmetic dentistry solutions. Teeth whitening is often the fastest cosmetic dentistry service to yield desired results, with immediate results after just a singleprofessional whitening session. With professional, in-office whitening procedures and at-home teeth whitening treatments, patients can choose the desired level of brightness within specific budgets. Consulting a professional, certified dentist will help to ensure that treatments are safe for individual patients as well as appropriate in relation to other oral care procedures. Studio Dental Care’s cosmetic dentistry services in Los Angeles include teeth whitening, veneer installation, and Invisalign. If you are considering cosmetic dentistry treatments or general dentistry services, consult an experienced dentist and Invisalign provider like Dr. Alexander Ash of Studio Dental Care located in Studio City, CA. Dr. Ash and his trained staff proudly provide patients in Burbank and Los Angeles with Invisalign, veneers, and teeth whitening procedures.